The Bania is an occupational community of merchants, bankers, money-lenders, dealers in grains or in spices, and in modern times numerous commercial enterprises. The term is used in a wider sense in Bengal than it is elsewhere in India, where it is applied to specific castes. The Honourable Society of the Inner Temple, commonly known as Inner Temple, is one of the four Inns of Court in London. To be called to the Bar and practise as a barrister in England and Wales, an individual must belong to one of these Inns. It is located in the wider Temple area of the capital, near the Royal Courts of Justice, and within the City of London. 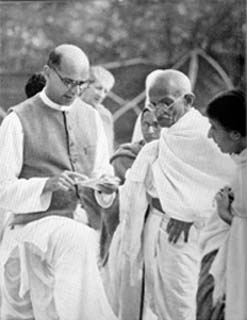 Gandhi led Indians in challenging the British-imposed salt tax with the 400 km (250 mi) Dandi Salt March in 1930, and later in calling for the British to Quit India in 1942. He was imprisoned for many years, upon many occasions, in both South Africa and India. 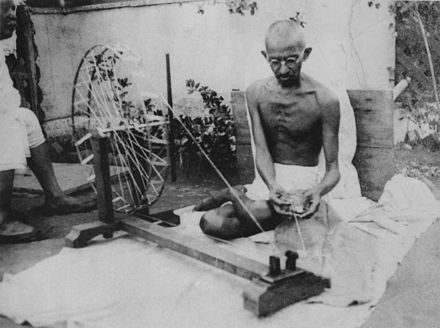 He lived modestly in a self-sufficient residential community and wore the traditional Indian dhoti and shawl, woven with yarn hand-spun on a charkha . He ate simple vegetarian food, and also undertook long fasts as a means of both self-purification and political protest. Sabarmati Ashram is located in the Sabarmati suburb of Ahmedabad, Gujarat, adjoining the Ashram Road, on the banks of the River Sabarmati, four miles from the town hall. This was one of the many residences of Mahatma Gandhi who lived at Sabarmati (Gujarat) and Sevagram when he was not travelling across India and was not in prison. He stayed in Sabarmati and Wardha for a total of twelve years along with his wife Kasturba Gandhi and followers including Vinoba Bhave. 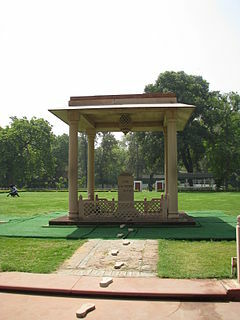 The Bhagavad Gita was recited here daily, as part of the Ashram schedule. 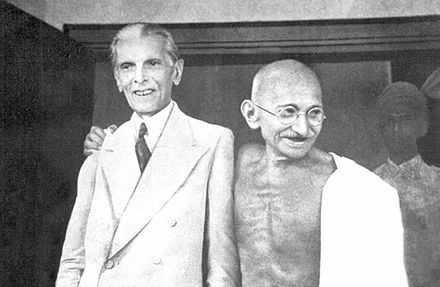 Gandhi's vision of an independent India based on religious pluralism was challenged in the early 1940s by a new Muslim nationalism which was demanding a separate Muslim homeland carved out of India. 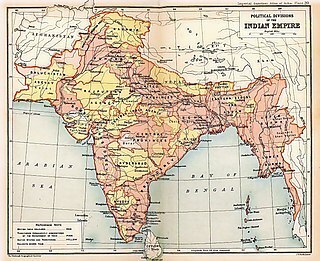 In August 1947, Britain granted independence, but the British Indian Empire  was partitioned into two dominions, a Hindu-majority India and Muslim-majority Pakistan. 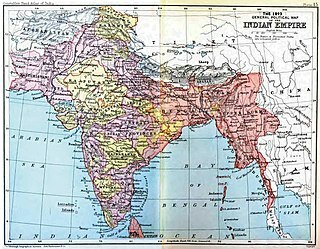 As many displaced Hindus, Muslims, and Sikhs made their way to their new lands, religious violence broke out, especially in the Punjab and Bengal. 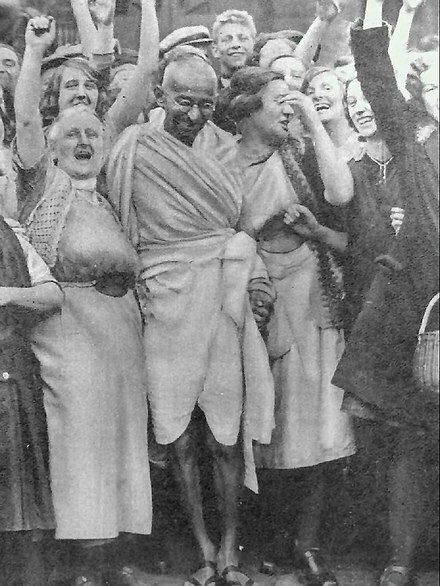 Eschewing the official celebration of independence in Delhi, Gandhi visited the affected areas, attempting to provide solace. In the months following, he undertook several fasts unto death to stop religious violence. The last of these, undertaken on 12 January 1948 when he was 78,  also had the indirect goal of pressuring India to pay out some cash assets owed to Pakistan. Some Indians thought Gandhi was too accommodating. Among them was Nathuram Godse, a Hindu nationalist, who assassinated Gandhi on 30 January 1948 by firing three bullets into his chest. Captured along with many of his co-conspirators and collaborators, Godse and his co-conspirator Narayan Apte were tried, convicted and executed while many of their other accomplices were given prison sentences. The International Day of Non-Violence is observed on 2 October, the birthday of Mahatma Gandhi. This day is referred to in India as Gandhi Jayanti. The Gujarati people or Gujaratis are an ethnic group traditionally from Gujarat that speak Gujarati, an Indo-Aryan language. 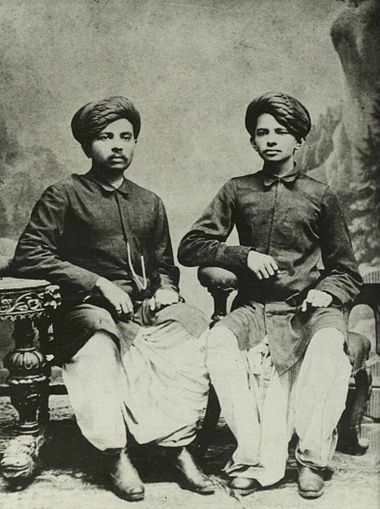 Gujaratis are prominent in entrepreneurship and business enterprise, and key figures played a historic role in the introduction of the doctrine of Swaraj and the Indian independence movement in British-ruled India. Modh communities comprise people who use the name and originate from Modhera in Gujarat, India. In that state and in Rajasthan, there are many examples of Hindu communities who take their name from a town and thus there exist both Modh Brahmins and Modh Vaniks. Where two groups share a similar toponym, the Brahmin group often traditionally acted as priests for the other, although this was not always the case and sometimes there was no corresponding group at all or there were more than two. In the case of Modhera, there is at least one other group by the name Modh Ghanchi. Porbandarpronunciation (help·info) is a western city in the Indian state of Gujarat, perhaps best known for being the birthplace of Mahatma Gandhi and Sudama. 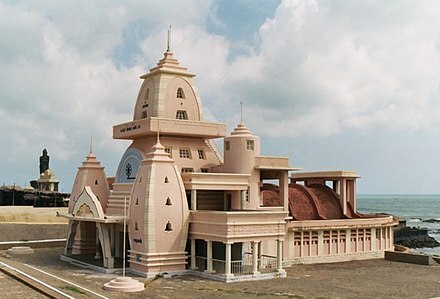 It is the administrative center of Porbandar District. 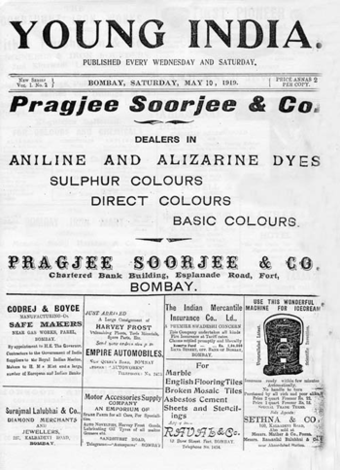 On 10 August 1888, Gandhi aged 18, left Porbandar for Mumbai, then known as Bombay. Upon arrival, he stayed with the local Modh Bania community while waiting for the ship travel arrangements. 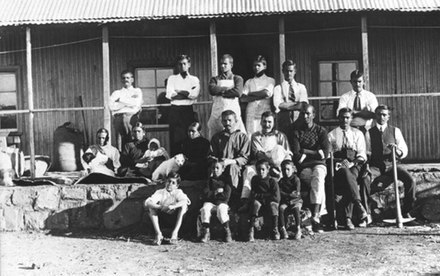 The head of the community knew Gandhi's father. 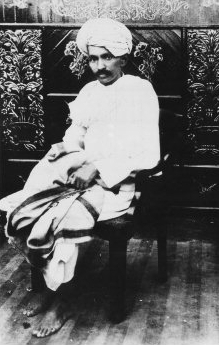 After learning Gandhi's plans, he and other elders warned Gandhi that England would tempt him to compromise his religion, and eat and drink in Western ways. Gandhi informed them of his promise to his mother and her blessings. The local chief disregarded it, and excommunicated him from his caste. But Gandhi ignored this, and on 4 September, he sailed from Bombay to London. His brother saw him off. Gandhi attended University College, London which is a constituent college of University of London. 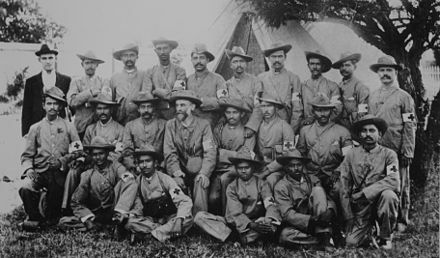 Gandhi with the stretcher-bearers of the Indian Ambulance Corps during the Boer War. 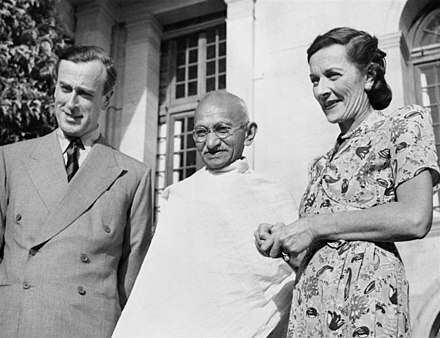 The British did not respond favourably to Gandhi's proposal. British political leaders such as Lord Birkenhead and Winston Churchill announced opposition to "the appeasers of Gandhi", in their discussions with European diplomats who sympathised with Indian demands. 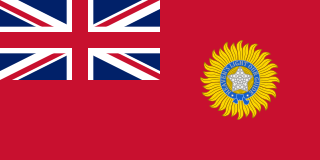 On 31 December 1929, the flag of India was unfurled in Lahore. Gandhi led Congress celebrated 26 January 1930 as India's Independence Day in Lahore. This day was commemorated by almost every other Indian organisation. 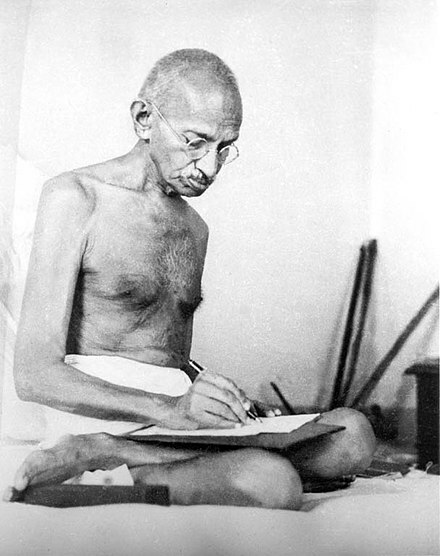 Gandhi then launched a new Satyagraha against the tax on salt in March 1930. 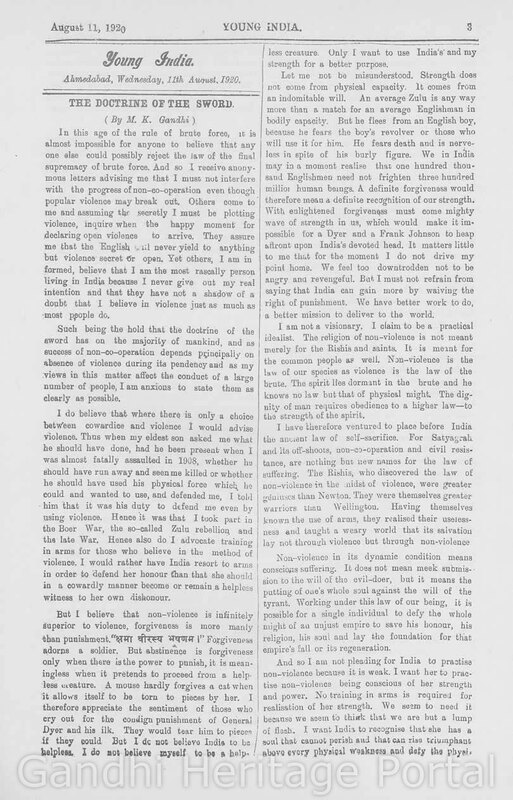 Gandhi sent an ultimatum in the form of a polite letter to the viceroy of India, Lord Irwin, on 2 March. A young left wing British Quaker by the name of Reg Reynolds  delivered the letter. 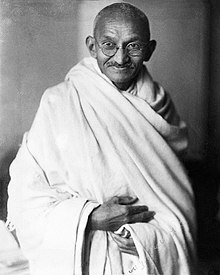 Gandhi condemned British rule in the letter, describing it as "a curse" that "has impoverished the dumb millions by a system of progressive exploitation and by a ruinously expensive military and civil administration... It has reduced us politically to serfdom." Gandhi also mentioned in the letter that the viceroy received a salary "over five thousand times India's average income." 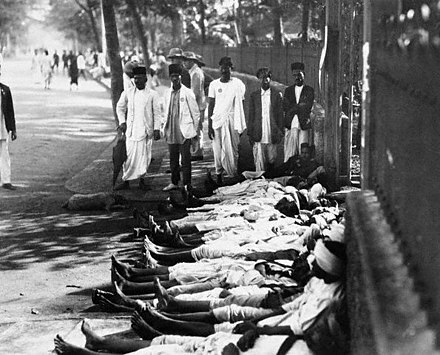 British violence, Gandhi promised, was going to be defeated by Indian non-violence. This campaign was one of his most successful at upsetting British hold on India; Britain responded by imprisoning over 60,000 people. 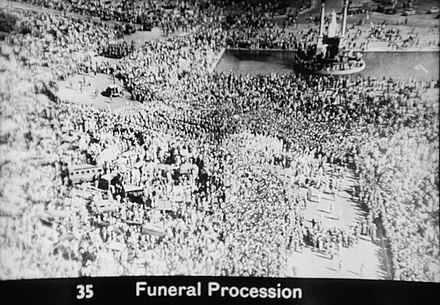 Congress estimates, however, put the figure at 90,000. 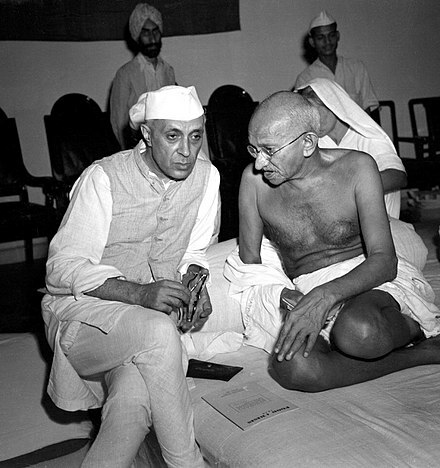 Among them was one of Gandhi's lieutenants, Jawaharlal Nehru. 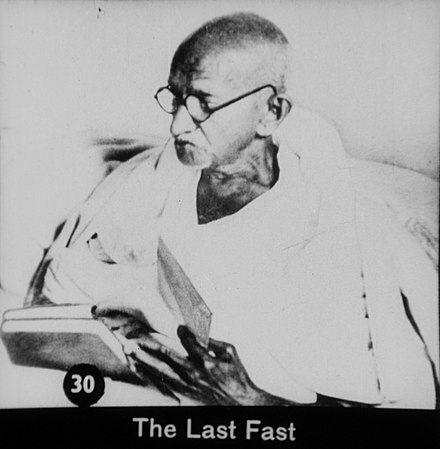 Alter states that Gandhi's fasting, vegetarianism and diet was more than a political leverage, it was a part of his experiments with self restraint and healthy living. He was "profoundly skeptical of traditional Ayurveda", encouraging it to study the scientific method and adopt its progressive learning approach. Gandhi believed yoga offered health benefits. He believed that a healthy nutritional diet based on regional foods and hygiene were essential to good health  . Recently ICMR made Gandhi's health records public in a book 'Gandhi and Health@150'. These records indicate that despite being underweight at 46.7 kgs Gandhi was generally healthy. He avoided modern medication and experiemented extensively with water and earth healing. While his cardio records show his heart was normal, there were several instances he suffered from ailments like Malaria and was also operated twice for piles and appendicts. Despite health challenges Gandhi was able to walk about 79000 kms in his lifetime which comes to an average of 18 kms per day and is equivalent to walking around the earth twice  . Satyagraha or holding onto truth or truth force – is a particular form of nonviolent resistance or civil resistance. Someone who practices satyagraha is a satyagrahi. Vinayak Damodar Savarkar, popularly known as Veer Savarkar, was an Indian politician, lawyer and writer. Keshav Baliram Hedgewar, also known as "Doctorji" within his organisation, was the founding Sarsanghachalak (head) of the Rashtriya Swayamsevak Sangh (RSS) and a prominent member of the right wing party Hindu Mahasabha. Hedgewar founded the RSS in Nagpur in 1925, with the intention of promoting the concept of a united India rooted in Hinduism ideology. Kasturbai "Kasturba" Mohandas Gandhi (listen born Kasturbai Makhanji Kapadia on was an Indian political activist, the wife of Mohandas Karamchand Gandhi. 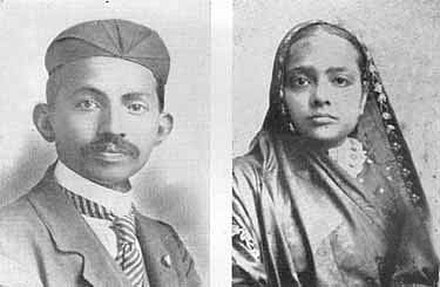 In association with her husband and son, she was involved in the Indian independence movement in British-ruled India. She was very influenced by her husband Mohandas Karamchand Gandhi or Mahatma Gandhi. "A Letter to a Hindu" was a letter written by Leo Tolstoy to Tarak Nath Das on 14 December 1908. The letter was written in response to two letters sent by Das, seeking support from the famous Russian author and thinker for India's independence from British colonial rule. The letter was published in the Indian newspaper Free Hindustan. The letter caused the young Mohandas Gandhi to write to the world-famous Tolstoy to ask for advice and for permission to reprint the Letter in Gandhi's own South African newspaper, Indian Opinion, in 1909. 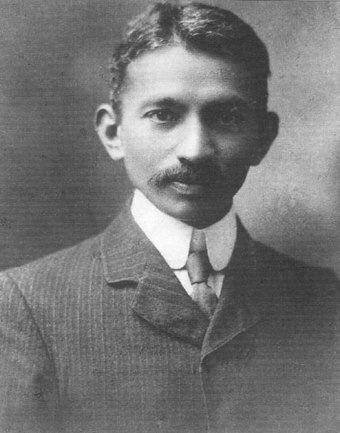 Mohandas Gandhi was stationed in South Africa at the time and just beginning his lifelong activist career. He then translated the letter himself, from the original English copy sent to India, into his native Gujarati. Abbas Tyabji was an Indian freedom fighter from Gujarat, and an associate of Mahatma Gandhi. He also served as the Chief Justice of Baroda State. His grandson is the eminent historian Professor Irfan Habib. The Champaran Satyagraha of 1917 was the first Satyagraha movement inspired by Gandhi and a major revolt in the Indian Independence Movement. It was a farmer's uprising that took place in Champaran district of Bihar, India during the British colonial period. The farmers were protesting against to grow indigo with barely any payment for it. Dinanath Gopal Tendulkar (1909–1972) was an Indian writer and documentary film maker. He is most well known as the author of an eight-volume biography of Mahatma Gandhi, titled Mahatma: Life of Mohandas Karamchand Gandhi. He was also a close associate of Vithalbhai Jhaveri and collaborated for the documentary film, Mahatma: Life of Gandhi, 1869–1948.He died on Monday, June 12 1972. Gandhi the Man is a biography of Mohandas Karamchand Gandhi written by Eknath Easwaran. The book was originally published in the United States in 1973. Several subsequent expanded editions have been published. Foreign (non-English) editions have also been published in several languages. The book has been reviewed in newspapers, professional journals, and websites. The subtitle of the 4th edition is How one man changed himself to change the world. 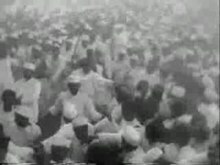 The Kheda Satyagraha of 1918, in the Kheda district of Gujarat, India during the period of the British Raj, was a Satyagraha movement organized by Mohandas Gandhi. It was a major revolt in the Indian independence movement. It was the third Satyagraha movement after Champaran Satyagraha and Ahmedabad mill strike. Gandhi organised this movement to support peasants of the Kheda district. People of Kheda were unable to pay the high taxes levied by the British due to crop failure and a plague epidemic. ↑ "Gandhi". Archived 14 January 2015 at the Wayback Machine Random House Webster's Unabridged Dictionary . ↑ "The Collected Works of Mahatma Gandhi". 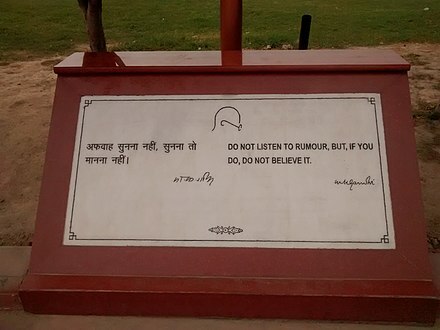 www.gandhiservefoundation.org. Gandhiserve foundation (Berlin). Retrieved 4 March 2019. ↑ Nehru, Jawaharlal. An Autobiography. Bodley Head. 1 2 "Gandhi not formally conferred 'Father of the Nation' title: Govt" Archived 6 September 2014 at the Wayback Machine , The Indian Express , 11 July 2012. 1 2 "Constitution doesn't permit 'Father of the Nation' title: Government" Archived 7 January 2017 at the Wayback Machine , The Times of India, 26 October 2012. ↑ Maeleine Slade, Mirabehn. Gleanings Gathered at Bapu's Feet. Ahmedabad: Navjivan publications. Retrieved 4 March 2019. 1 2 Gandhi (1940). Chapter "At the High School"; Archived 30 June 2012 at the Wayback Machine . ↑ Gandhi (1940). Chapter "Playing the Husband"; Archived 1 July 2012 at the Wayback Machine . 1 2 Power, Paul F. (1969). "Gandhi in South Africa". The Journal of Modern African Studies . 7 (3): 441–55. doi:10.1017/S0022278X00018590. JSTOR 159062. ↑ "March 1897 Memorial" . 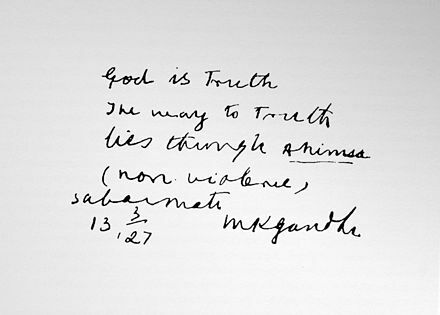 The Collected Works of Mahatma Gandhi – via Wikisource. : correspondence and newspaper accounts of the incident. For Johannesburg, see "Gandhi – A Medium for Truth" (link to article in Philosophy Now magazine) Archived 24 March 2014 at the Wayback Machine . Retrieved March 2014. ↑ Corder, Catherine; Plaut, Martin (2014). "Gandhi's Decisive South African 1913 Campaign: A Personal Perspective from the Letters of Betty Molteno". South African Historical Journal . 66 (1): 22–54. doi:10.1080/02582473.2013.862565. ↑ Prashad, Ganesh (September 1966). "Whiggism in India". Political Science Quarterly . 81 (3): 412–31. doi:10.2307/2147642. JSTOR 2147642. ↑ Gandhi (1940). Chapter "Recruiting Campaign" Archived 2 July 2012 at the Wayback Machine . ↑ Chakrabarty, Bidyut (2008). Indian Politics and Society since Independence: events, processes and ideology. Routledge. p. 154. ISBN 978-0-415-40868-4 . Retrieved 4 April 2012. ↑ Datta, Amaresh (1 January 2006). The Encyclopaedia of Indian Literature (Volume Two) (Devraj To Jyoti). Sahitya Akademi. p. 1345. ISBN 978-81-260-1194-0 . Retrieved 4 April 2012. ↑ Guha, Ramachandra (2007), India after Gandhi , Harper Collins, ISBN 978-0-330-50554-3, pp. 37–40. 1 2 Ramesh, Randeep (16 January 2008). "Gandhi's ashes to rest at sea, not in a museum". The Guardian . London. Archived from the original on 1 September 2013. Retrieved 14 January 2012. ↑ Green, Martin Burgess (1986). 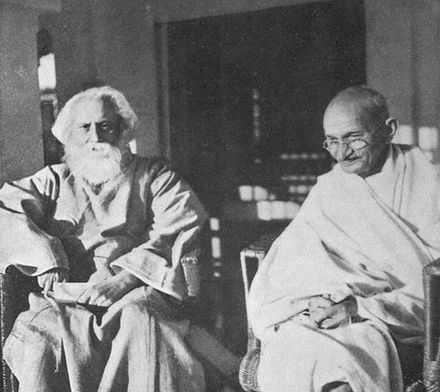 The origins of nonviolence: Tolstoy and Gandhi in their historical settings. Pennsylvania State University Press. ISBN 978-0-271-00414-3 . Retrieved 17 January 2012. 1 2 Mahatma Gandhi (1957). An Autobiography: The Story of My Experiments with Truth. 39. Beacon Press. p. 262. ISBN 978-0-8070-5909-8 . Retrieved 23 November 2016. ↑ Parel, Anthony (2006). Gandhi's Philosophy and the Quest for Harmony. Cambridge University Press. p. 195. ISBN 978-0-521-86715-3 . Retrieved 13 January 2012. ↑ Prabhu, R. K. and Rao, U. R. (eds.) (1967) from section "Power of Satyagraha" Archived 2 September 2007 at the Wayback Machine , of the book The Mind of Mahatma Gandhi, Ahemadabad, India. ↑ Sharma, Jai Narain (2008). Satyagraha: Gandhi's approach to conflict resolution. Concept Publishing Company. p. 17. ISBN 978-81-8069-480-6 . Retrieved 26 January 2012. ↑ Johnson, Richard L. (2006). Gandhi's Experiments With Truth: Essential Writings By And About Mahatma Gandhi. Lexington Books. p. 11. ISBN 978-0-7391-1143-7 . Retrieved 9 May 2012. ↑ Panter-Brick, Simone. 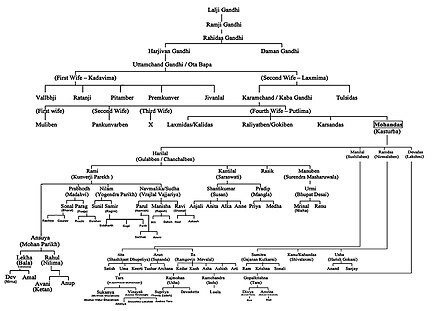 "Gandhi's Dream of Hindu-Muslim Unity and its two Offshoots in the Middle East" Archived 17 July 2012 at the Wayback Machine . Durham Anthropology Journal, Volume 16(2), 2009: pp. 54–66.